As a busy mom, I will always recommend “one-stop-shops”. Why? Because time is so precious for me. I am the kind of person who likes going out, doing more than 3 errands or tasks all at the same time. It makes me feel “mommy accomplished”! Mommies are in charge of the household chores. It’s a must that you regularly treat yourselves to a very relaxing hand and foot spa services. When I got mine, I felt rejuvenated! 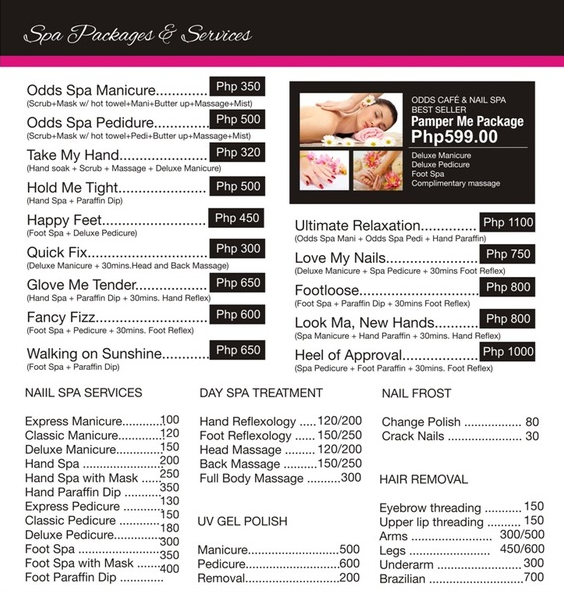 They also offer massage, reflexology and hair removal services. 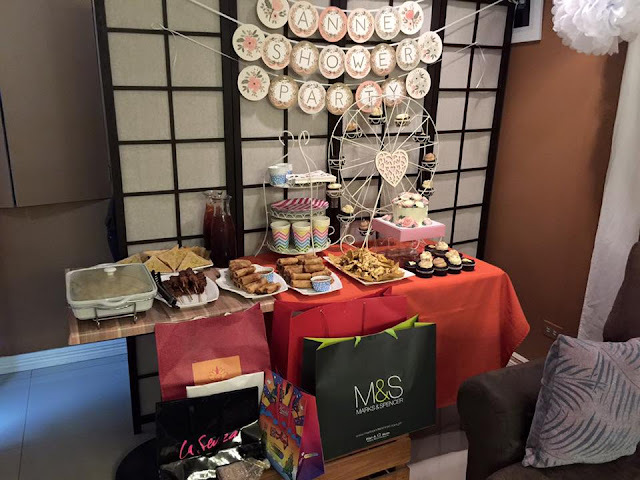 What a brilliant idea to offer delicious food in the comforts of the salon. If you are in the middle of your soothing mani-pedi and you feel hungry, no need to for a food delivery service or ignore your hunger and wait for the mani-pedi to finish before you can calm your tummy. 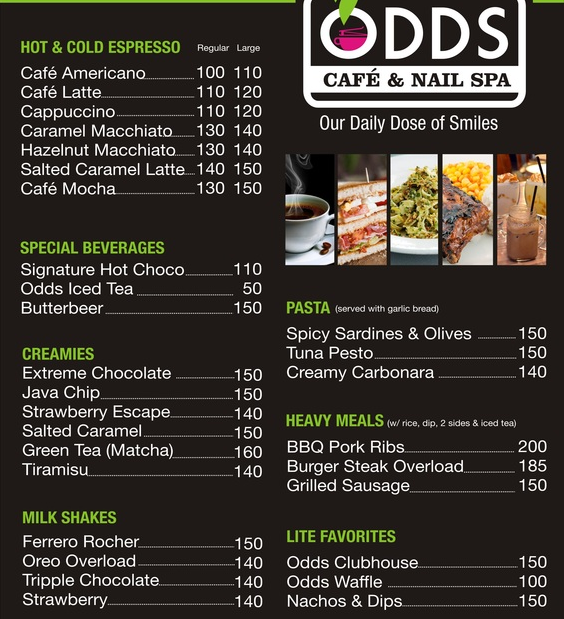 Odds Cafe and Nail Spa offers such delish food that you can even savor while you are having your pampering. Another awesome discovery is the cafe’s BARBECUE PORK RIBS. So tasty even without the sauce. Tender to the bite, with real meatiness and smoky flavor. A large serving with rice, veggies, and iced tea. And surprisingly, for the price of Php200. So affordable! A perfect complementary to any salon service is good quality coffee. 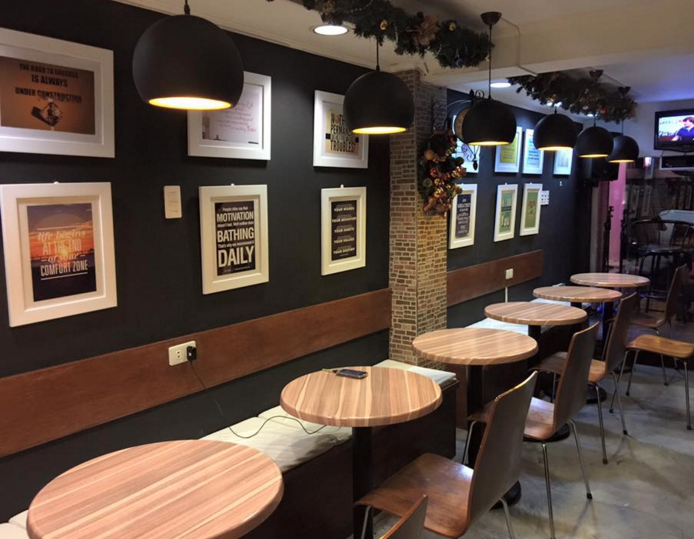 Odds Cafe and Nail Spa has some wonderful coffee concoctions that coffee lovers will enjoy. I tried their Salted Caramel Latte and it was pure bliss. The right balance of sweetness, saltiness and a hint of caffeine. But when it comes to refreshments, its the cafe’s SALTED CARAMEL CREAMIES. When it arrived on our table, it was BIG. And so yummy. So far, its the best Salted Caramel Frap I have ever tasted. Will definitely go back and treat my teens to this! If the spa-salon-cafe concept is not enough, there is another reason for you to visit this hole-in-the-wall. 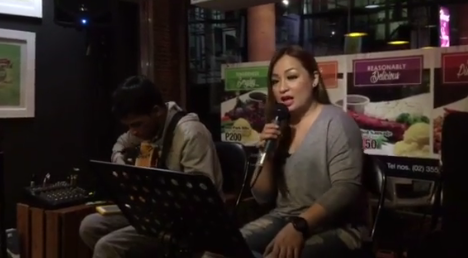 Every Saturday, you can jam with their live performer. No cover charge, no entrance fee. Just pure music and good food and drinks. 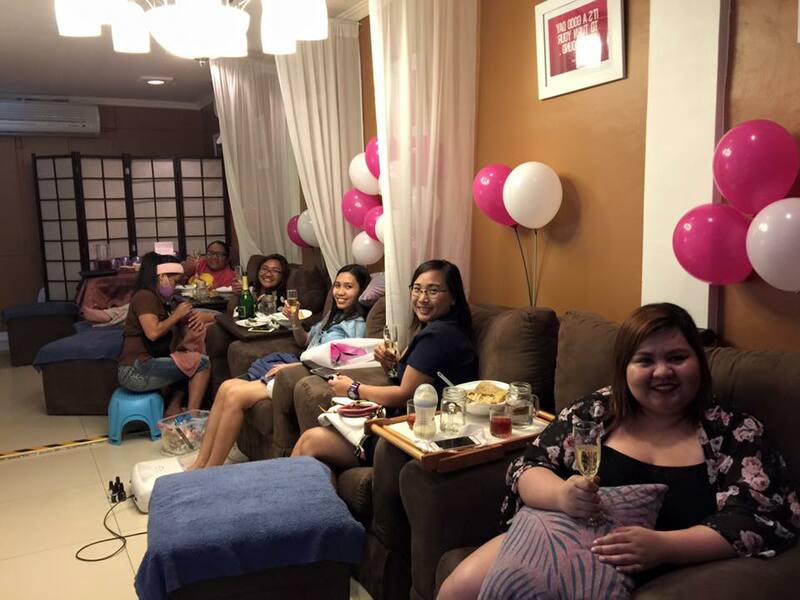 It is Odds Cafe and Nail Spa’s anniversary treat to all! All Saturdays of August. 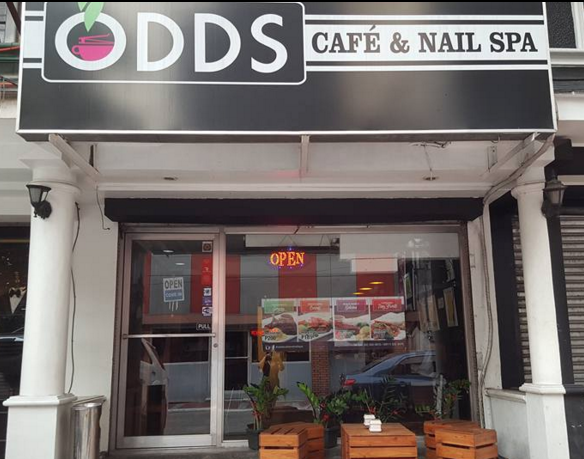 Odds Cafe and Nail Spa has awesome deals from Mondays to Sundays! 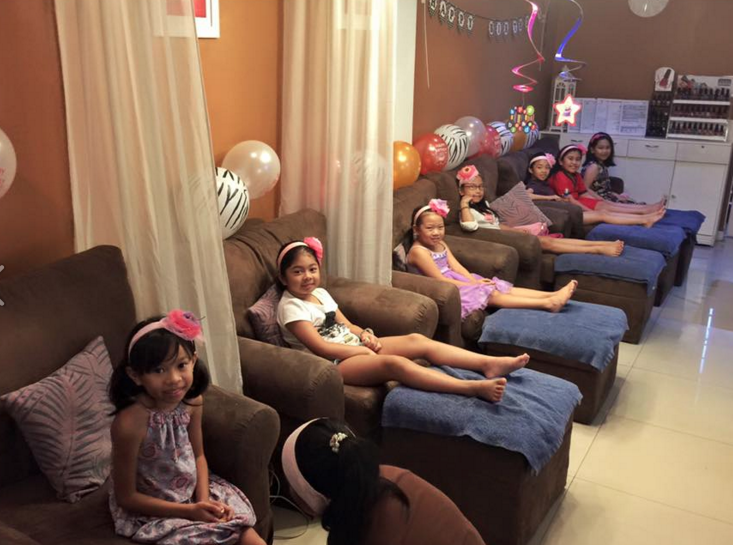 If these reasons are not enough to schedule a visit to the salon – Odds Cafe and Nail Spa is also a great venue for SPArties, events, bridal showers, meetings and all kinds of celebration parties. 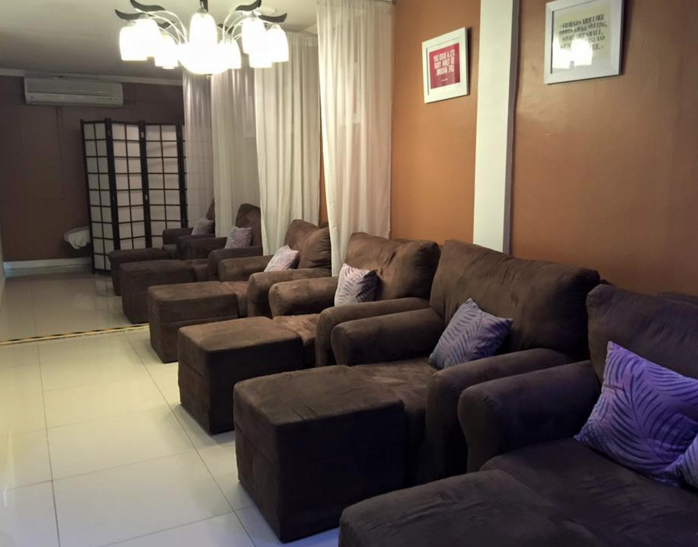 Open daily from 12nn to 12mn (Cafe) and 3pm to 12mn (Spa). Accepts Visa and Mastercard payments.